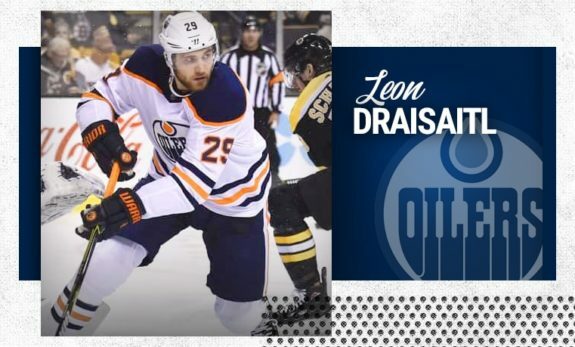 From the moment the Edmonton Oilers announced the signing of Leon Draisaitl to an eight-year extension for an eye-popping $68 million, expectations for the talented German pivot skyrocketed. Though on the surface, asking the 22-year-old to drive his own line while playing second fiddle to Connor McDavid may seem reasonable enough, in reality, it’s not so cut and dry. Just because the guy wearing No. 97 carries the play with whoever happens to jump on the ice with him, something we have come to expect from the best player on the planet, that rule doesn’t apply to everyone else. In short, Draisaitl is a helluva player but on his own, he isn’t capable of doing what McDavid does. There is no shame in that but unfortunately for him, his $8.5 million price tag changes the ask in the eyes of many across the hockey landscape. With all due respect to the vast majority of players in the NHL, there are only a handful of guys who can carry a line single-handedly. 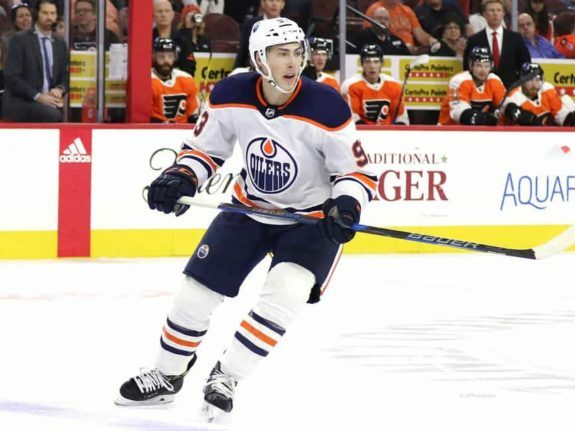 Ever since the Oilers decided to part ways with Taylor Hall, their second line centre has been asked to do exactly that and the results have been mixed at best, for both Draisaitl and Ryan Nugent-Hopkins. And yet, this organization decided to come into this season with not a single legitimate option as a top-six winger. Make no mistake, using Nugent-Hopkins on McDavid’s flank certainly qualifies as a solid move but like Draisaitl before him, we are talking about individuals who have been forced into a playing a different position due to roster shortcomings in other areas. If the #Oilers are planning on going anywhere this season, they need Leon Draisaitl to show he can carry his own line. With that said, if the current set-up is the way this group will be deployed in 2018-19, finding Draisaitl a running mate is a must. Be it Kailer Yamamoto, Jesse Puljujarvi or perhaps even Nugent-Hopkins, something has to give over these next three weeks. The former Spokane Chiefs standout has been given the initial “kick-at-the-can” to try and find chemistry with No. 29 but the leash will be short. At least to start the season, we can write Milan Lucic’s name in pen as the Oilers second line left winger as he looks to rebound from a disastrous back half of 2017-18. However, at this stage of his career, the hulking winger cannot be counted on to be a key piece inside the top-six. If he can bounce back, he’ll be a useful complementary piece of the puzzle but not much else. Which makes who ends up on the other side so important. From a roster standpoint, the best fit would probably be Nugent-Hopkins. When you combine his offensive skill-set with a willingness to play at the other end of the rink and his seven years of experience into the equation, it seems like a natural fit. Problem being, it creates a hole elsewhere but it might end up being the route this coaching staff is forced to take. In a perfect world, Yamamoto or Puljujarvi find a fit with Draisaitl but if that doesn’t come to fruition over Edmonton’s first ten or so games, McDavid has proven he can produce with whoever plays on his wings. Does this make a Ty Rattie and Yamamoto/Puljujarvi combination an ideal fit? Hardly but from a roster construction standpoint, despite the potential defensive shortcomings, it may be the way to go…at least in the short-term. Some will view this as a knock against Draisaitl but again, that shouldn’t be the case. In my mind, the two-time 70-point man is one of the best young players in the game and has only scratched the surface on the player he can be. If given a suitable running mate, the third overall pick in the 2014 NHL Entry Draft will drive his line and the Oilers will be better for it. If they can’t find said player, it will be a struggle and that’s on the organization. Let’s not forget, it is on the management group to ensure players can be placed in the best possible spot to succeed. Sorry but asking a kid like Draisaitl to go out and do it on his own, doesn’t fall into that category. Especially if the expectation is to win hockey games. Which is all that really matters. In case you haven’t noticed, the sharks are circling. The Edmonton Oilers can ill-afford to get off to a slow start and most certainly can’t miss the playoffs. With it being a make or break season for the head coach, you can bet Todd McLellan’s patience level will be at an all-time low and no matter where his line-blender takes him, finding Leon Draisaitl his No.2 has to be priority one.